The industry which is 25 times bigger than the Bollywood industry in India has to go through 30 or more licenses to open one single restaurant which in itself is one of the biggest blockage for the smooth run of any restaurant business in the country. 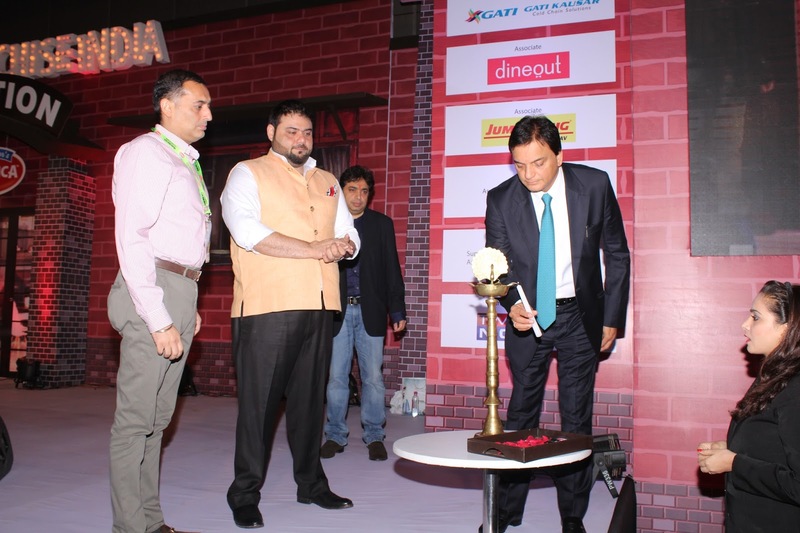 Like previous year conferences, the Indian Restaurant Congress 2015 was a successful one too, which was well accepted and witnessed huge participation from the restaurant guild. Eminent Speakers, Policy Makers, food service professionals and consultants, as well as food ingredient and raw material suppliers had come together on a single platform to discuss the change of the hour, the biggest ‘Disruption’ which the industry is experiencing today. Chaired by Sunil Kapur, Chairman, K Hospitality Corp, the show was rewarding in creating awareness about the biggest trend in the industry with a focus on the four major points of Disruption (Bizruption+Foodruption+Youngruption+Techruption). The inaugural session started with a welcome note by Ritu Marya, Editor-in-Chief, Franchise India Group. Other speakers who were part of the healthy debate on issues in restaurant industry included, Riyaaz Amlani, President- NRAI & MD &CEO, Impresario Entertainment Pvt. Ltd. and Amit Burman, Chairman, Dabur India & Vice Chairman, Lite Bite Foods. Themed under the title ‘Economics of Indian Restaurant in 2015 & Beyond; the inaugural session set the tune for the two-day event. Other major topics of discussion at the congress included factors which have brought the biggest-ever change in the Restaurant industry with boom of sectors like technology, innovation, consistency, food policies and law and proficiency amongst others. Likewise, speakers were also of the view that the government policy has become like a big gorilla in terms of hindrance it is creating in the growth of Restaurant Industry. The industry which is 25 times bigger than the Bollywood industry in India has to go through 30 or more licenses to open one single restaurant which in itself is one of the biggest blockage for the smooth run of any restaurant business in the country. Restaurant thought leaders also discussed about the consumer eating out behaviour in general. Norwegian Seafood Council to view Salmon consumpti..